We start off with our three news guests: Jon Wallenstrom from Forest City Hawaii will tell us about the Kapolei Lofts Energy Fun Fair. 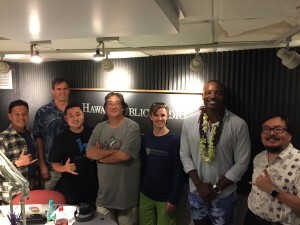 Then Kwame Jackson will tell us about the next Startup Weekend Honolulu. Then Jared Kushi from Blue Startups will give us the scoops on the Mobile Challenge Asia Pacific Semi-Final Pitch Off. Finally, during our main segment, we’ll talk about sensor technology and open hardware with UH researchers Brian Glazer and Brian Chee.